How about a quick, overdue update on what’s been happening on the farm over the last two weeks? May and June are always the craziest months on the farm. To begin with, the days are just very very long. We’re still planting thousands of seedlings out in the field, and direct-sowing all our important summer and fall crops (beets, carrots, beans, squash, corn), while at the same time our first farmers markets are starting up. 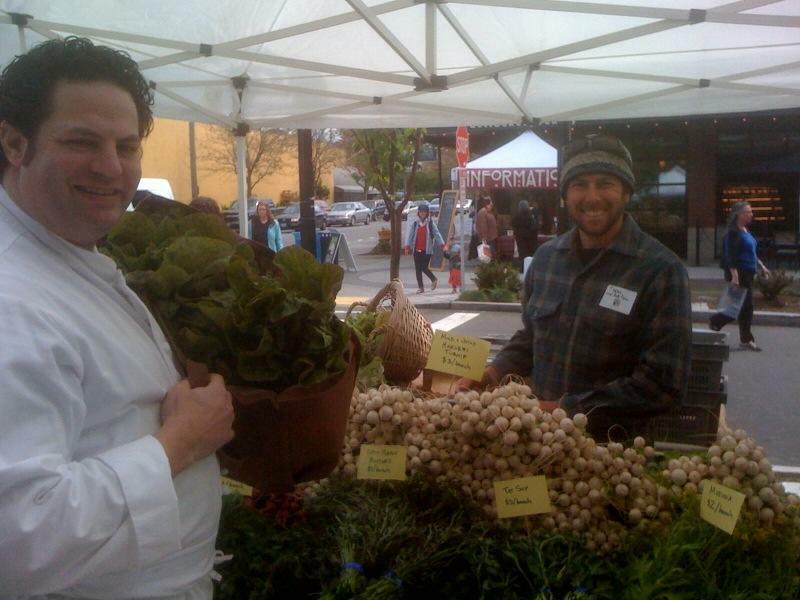 Yesterday (Thursday, May 20) was the opening day of the fabulous Queen Anne farmers market where we experienced cold winds, singing elementary schoolers, and lots of very happy customers. It’s so great to have friendly, supportive, and enthusiastic regulars, and we feel very luck to be part of the Queen Anne market community. 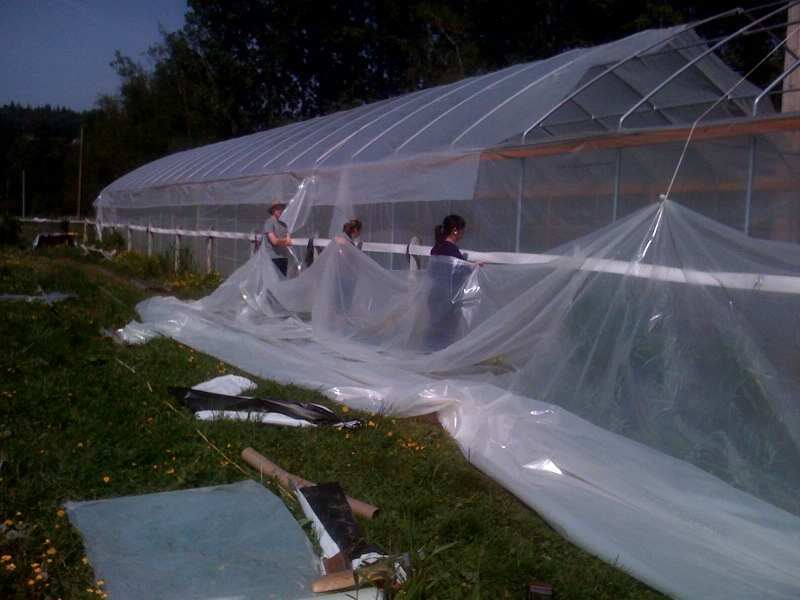 Other happenings on the farm include the gradual construction of the worlds largest greenhouse. We’ve managed to get the plastic covering up on about 2/3 of the length, and about half of this year’s tomato crop is finally in the ground. We had some help from our favorite high schoolers last weekend, when Global Visionaries had their last farm visit of the year. Getting a 100’x30′ piece of plastic 20 feet in the air on a slightly windy day is always a little exciting, so we were grateful for the twelve teenagers who were willing to act as anchors. Of course, once all the crops are in the ground, then begins the endless weeding, watering and harvesting. For some more, truly beautiful, photographs of the past weeks’ planting and cultivating, please pay a visit to our sister blog, Taking Root. Our intern Ann has been documenting our daily tasks as part of her project to connect people to the land through art and writing this summer. We are very grateful for these lovely photos. Looks like you’re making great progress and an intern, to boot.